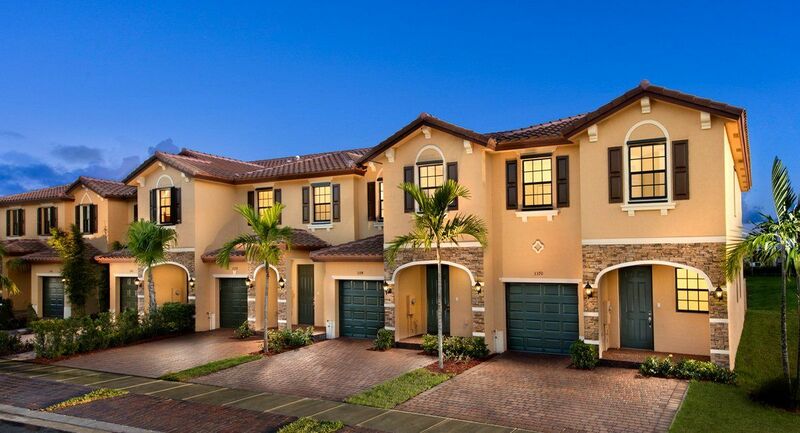 Horizon at Celebration Pointe community, a brand-new enclave of Mediterranean style townhomes in desirable Margate, FL is now open. The newly designed townhome floorplans will be available at pre-construction prices and will offer 3 and 4 bedrooms. They will include Lennar’s Everything’s Included® package, which includes features like stainless steel appliances, and so much more. The four unique townhome designs will feature exterior stone on front elevation, attached garage, open kitchen-living floorplans and a master bedroom with in-suite bathroom. Homeowners will enjoy the planned amenities such as entry gates, a serene lake, sparkling pool, cabana and sundeck areas. The carefree lifestyle at Horizon at Celebration Pointe awaits you, don’t miss the opportunity to find your future home at this amazing Lennar community!